September 2007 – What Does It Take To Be A Leader? November 2007 – Is that Ethical?! California Indian Legal Services (CILS) seeks an Executive Director to lead a well-established and highly reputed statewide, public interest law firm that is dedicated to creating a better and more humane society for California tribes and Indians. This is an exceptional opportunity for an individual committed to and knowledgeable about Indian affairs to lead CILS into a new era of its work to protect and advance Native American rights. Founded in 1967, CILS is the oldest public interest Indian rights law firm in the country, promoting the fundamental rights of California tribes and Indians through litigation, legislative and administrative advocacy, community development, and other strategies for systemic change. CILS is a state and national leader in protecting and advancing the rights of California Indians, and each year works with dozens of tribes in the state and thousands of Indian individuals and families. CILS provides a full range of legal representation to California Indian tribes and Indian organizations, advocates for the rights of California Indians at the local, state, and national levels, and provides direct services and community education to low-income Indian individuals on issues related to Federal Indian Law. Our work includes such diverse practice areas as the Indian Child Welfare Act, trust lands, Indian probate, Indian cultural and religious rights, tribal community and economic development, tribal justice systems, tribal governance, tribal social service delivery systems, protection of sacred sites, and environmental protection. CILS has an annual operating budget of approximately $2.3 million derived from a wide variety of sources, including federal and state grants, tribal donations, and tribal grants and contracts. Oakland currently houses both the central administration of CILS as well as a field office, and additional field offices are located in Bishop, Escondido, Eureka and Santa Rosa. We have approximately 20 staff, including ten lawyers/advocates. Our Board of Trustees is comprised of California Indians appointed by Indian tribes and organizations across the state, as well as representatives appointed by the State Bar of California. Additional information about CILS may be found on our website, at www.calindian.org. The ideal candidate for this position will be a dynamic leader who brings passion, strategic thinking, and a strong commitment to seeking justice for Indian people. The Executive Director is the primary spokesperson for CILS, oversees its programs and legal and administrative staff, and has overall responsibility for day-to-day operations. For many years the Executive Director has been based in the Bay Area, but the Board will consider alternative locations based on the needs of candidates and the program. Competitive based on experience. Full family/partner medical and dental benefits, LTD, life insurance, generous leave policies. Please submit letter of interest, resume, two writing samples and three professional references to Patricia De La Cruz-Lynas, Director of Administration, California Indian Legal Services, Re: Executive Director Position, 405 14th Street, Suite 300, Oakland, CA 94612. E-mail hiring@calindian.org. Applications will be accepted until the position is filled. CALIFORNIA INDIAN LEGAL SERVICES IS AN EQUAL OPPORTUNITY EMPLOYER. NATIVE AMERICANS, WOMEN, MINORITIES AND THE DISABLED ARE ENCOURAGED TO APPLY. THE OFFICE: There are 2 vacancies for Defense Attorney I positions. These are staff attorney positions with Defense Services Office located in Sacaton, Arizona. We are within the boundaries of the Gila River Indian Community (bordering the Phoenix metro area). We offer legal representation to adult and juvenile Community members before the Tribal courts. Emphasis is criminal law- functioning as a public defender’s office. THE JOB: DSO attorneys are responsible for all phases of criminal defense from providing consultation, conducting interviews of witnesses and police, investigation, trials to handling appeals. The successful applicant will have the opportunity to conduct bench and or jury trials for a variety of offenses. This is a great chance to hone writing skills on motions and appeals. We also provide representation in juvenile matters. REQUIRED QUALIFICATIONS: Applicants must possess a J.D. degree, be an active member of the Arizona State Bar in good standing (any jurisdiction) OR be licensed in the State of Arizona within one (1) year of hire. Must possess good driving record. COMPENSATION: Salary begins at $57,011 + D.O.E. ; great benefits include medical, dental, vision, life, disability and retirement. The Klamath Tribes seeks candidates to serve as Chief Judge for the Klamath Tribal Courts on a contract basis. Requirements: 1) Enrolled member of a federally recognized Indian Tribe; 2) 30+ years of age; 3) never convicted of a felony or within the last 12 months of a misdemeanor, nor dishonorably discharged from the military; 4) Juris Doctor degree OR minimum one year experience as a judge. Requests for certification must be submitted by July 31, 2007. Application and required documentation must be received by August 17, 2007. SubmitOther: Requests for certification must be submitted by July 31, 2007. Application and required documentation must be received by August 17, 2007. Helen E. Burtis, a 2007 graduate of the Sandra Day O’Connor College of Law at Arizona State University, has won a writing competition held by the Indian Law Section of the State Bar of Arizona. She will receive the award and a $1,000 scholarship at the Bar’s annual convention, June 27-29, at the Westin Kierland Resort and Spa in Scottsdale. 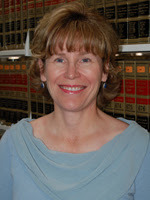 In her paper, “Sovereignty Struggles: When the Federal Government Deals the Hand,” Burtis predicts how the U.S. Supreme Court would decide the jurisdiction held by the National Labor Relations Board over Indian tribes, and provides advice for tribes about proceeding under those circumstances. Burtis, who plans to clerk for Arizona Court of Appeals Judge Patrick Irvine for a year, ultimately would like to practice law in Indian Country. Burtis worked in the financial services and insurance industry for 23 years before enrolling in law school in 2004 at the age of 45. “I made myself a promise that I would have a second career in my life,” she said. “I’d heard a motivational speaker talk about the fact that people work 50 or more years after they graduate, and that’s plenty of time for two satisfying, rewarding careers. I thought there was a lot of merit to that, and I promised myself that, no matter how comfortable I was, I would do something new when I was 45 or 50.” Burtis said she felt studying the law would be challenging and eventually provide her with a career where she could help clients understand and achieve their objectives. She chose the Sandra Day O’Connor College of Law because of its internationally renowned Indian Legal Program (ILP). “The ILP faculty is the best in the field,” Burtis said. “They have been helpful and supportive, giving me extra time and helping me with difficult endeavors, such as externships and the challenging curricula. But they also have pushed and encouraged me to do my best.” This was Burtis’s first entry in a writing competition at the College of Law, and she said the award is both surprising and gratifying. Rebecca Tsosie, the ILP’s executive director and a College of Law professor, said the program’s faculty, staff and students benefited from having Burtis on campus. “She distinguished herself with her commitment to study and gain practical experience in many aspects of Federal Indian law,” Tsosie said. “Helen’s excellent written work demonstrates her mastery of the subject and her willingness to engage in a creative and thoughtful analysis of the many tough issues within Federal Indian law. “We are so pleased and honored to join the State Bar of Arizona in congratulating Helen for her winning essay in the writing competition, and we look forward to celebrating her future accomplishments in the field of Federal Indian law.” To read Burtis’s paper, go here. Must have at least 10 years legal experience and be a member in good standing of Arizona Bar. Ability to competently handle wide range of complex transactional and litigation matters. Prior legal experience in areas of Indian housing, environmental issues. ICWA, employment law, Indian Gaming, contracts, taxation, jurisdictional issues, and economic development in Indian Country. Must have litigation experience and familiarity with court rules and procedures. Must have skills interpreting case law, codes, ordinances and administrative rules. Must have the ability to manage law office staff and maintain department budget. Must be committed to concept of tribal sovereignty and Indian self determination. The Yavapai-Apache Nation offers a benefit and compensation package: Medical Health Care Insurance; 401K; Dental; Vision; Life Insurance; Accidental Death & Dismemberment Insurance; Short & Long Term Disability Insurance. Preference will be given to qualified applicants who are members of a federally recognized Indian tribe. Successful candidates must pass a drug screening and background check. Niccole (Winship) King (’01) recently joined Salt River Pima-Maricopa Indian Community’s Legal Department as an Assistant General Counsel. Congrats Niccole! Compensation Details: DOEOpen until filled. How To Apply: By mail. All candidates should apply immediately. This date is not necessarily the deadline date, as resumes are more than likely reviewed as they come in and interviews scheduled as soon after the posting date as possible. You should not wait until the expiration date to submit your materials, as you may be depriving yourself of an employment opportunity. Description: This is a permanent full-time position which will provide support services to Chief Legislative Counsel & Associate Legislative Attorneys in the nature of legal opinion research, litigation support, contract review, and support for tribal entities as directed by the Chief Legislative Counsel. The Associate Legislative Attorney will be assigned to provide legal services to commissions or committees of the tribe subject to review by Chief Legislative Counsel. 1. J.D. Degree from accredited law school. 2. Admitted to practice in Michigan, or other state bar, required to eb admitted to Michigan within one year of employment. 3. 5 -7 years experience as lead counsel or co-counsel in complex civil litigation (Federal or State). Description: To provide guidance and direction for the Legislative Legal Department and legal counsel to the Tribal Council of the Little River Band of Ottawa Indians. 1. J.D. Degree from an ABA accredited law school and 5 years experience with a major law firm or legal department. 2. Demonstrative knowledge of Constitutional Law and Federal Indian Law practices. 3. Strong administrative management experience in the legal field. 4. Admitted to practice in Michigan or other state bar, must obtain Michigan bar within one year of employment. 5. Strong knowledge of litigation, employment law, and business law. 6. Valid drivers license throughout employment. SubmitOther: Application available at www.lrboi.com.